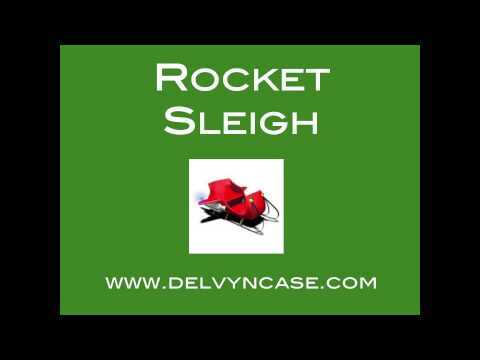 ROCKET SLEIGH is fast becoming the most popular new addition to the holiday pops repertoire for orchestra and concert band in the United States. Since 2009, this 4-minute overture has been performed by 70 orchestras, including the National Symphony, Toronto Symphony, Atlanta Symphony, and Royal Liverpool Philharmonic, plus many collegiate and community ensembles. The band version (Grade 4), created for and premiered by the Dallas Wind Symphony, has also been performed by the United States Coast Guard Band, symphonic bands at major universities like Brigham Young and Wake Forest, and by select high school ensembles across the country. World premiere recording by the Moravian Philharmonic Orchestra now available on the album DASHING! from Navona Records, as well as for purchase on iTunes and streaming on Spotify. Rent performance materials from LeDor Music, Inc.
New concertante version for the Canadian Brass! Premiere: Christmas 2019. Toronto Symphony Orchestra, Royal Liverpool Philharmonic, Philharmonie Sudwestfalen (Germany), Zagreb Philharmonic, Baltimore Symphony, Atlanta Symphony, National Symphony Orchestra, Pacific Symphony, Nashville Symphony, Halle Orchestra (Manchester, UK), Louisville Orchestra, San Antonio Symphony, Winnipeg Symphony, Jacksonville Symphony, Alabama Symphony, Toledo Symphony, Hartford Symphony, Roanoke Symphony, Arkansas Symphony, Milwaukee Symphony, Fairbanks Symphony, Oregon Symphony, Lansing Symphony, Tulsa Symphony, Yakima Symphony, Dayton Philharmonic, Erie Philharmonic, Grand Rapids Symphony, Maryland Symphony, Colorado Springs Philharmonic, Louisiana Philharmonic, Winston-Salem Symphony, Syracuse Symphony, Wisconsin Chamber Orchestra, Albany Symphony (NY), Portland Symphony (ME), Ohio Valley Symphony (WV), Altoona Symphony (PA), Fort Wayne Philharmonic, Saginaw Bay Symphony, Susquehanna Symphony (MD, Texarkana Symphony, Waterloo-Cedar Falls Symphony. (IA), Midland Symphony (MI), Great Falls Symphony (MT), Lone Tree Symphony (CO), Evanston Symphony (IL), Champaign-Urbana Symphony, Denver Philharmonic, Gulf Coast Symphony (FL), Ocala Symphony, Orchestra Kentucky, Riverside Symphonia (NJ), Northwest Florida Symphony, Quad City Symphony (IA), Wilmington Symphonia (VA), Washington State University Symphony, Wartburg College-Community Orchestra (IA), Albany Symphony (GA), Whiting Park Symphony (IN), Claflin Hill Symphony (MA), North Shore Philharmonic (MA), University of Portland Symphony, Cobb County Symphony (GA), Fall River Symphony (MA), Holyoke Civic Symphony (MA), Waltham Symphony (MA), St. Charles Symphony (MO), Quincy Symphony (MA), Parkway Concert Orchestra (MA), Houghton College Philharmonia (NY), University of Rhode Island Symphony, Kutztown University Symphony (PA), Harvard Pops Orchestra. PROFESSIONAL: Dallas Wind Symphony, US Coast Guard Band, US Army TRADOC Band, Florida Wind Band, Alabama Winds. COLLEGIATE: Brigham Young University, Wake Forest University, Yale University, Eastern Arizona University, Florida Southern University, Lynchburg University, Carroll University, Florida College, Andrews University. COMMUNITY: Arlington (TX) Community Band, Triangle Wind Ensemble (VA), Greater Miami Symphonic Band, Casco Bay Concert Band (ME), Freeport (NY) Concert Band, Kings Park Concert Band, Southeastern Massachusetts Wind Symphony. PLUS HIGH SCHOOL BANDS in Texas, Illinois, and Alabama.